Your Young Animal Lover Bicycle Rider Will Love These Padded Bike Shorts! These Great Looking Shorts with adorable cats and dogs will please that animal lover bicycle boy. 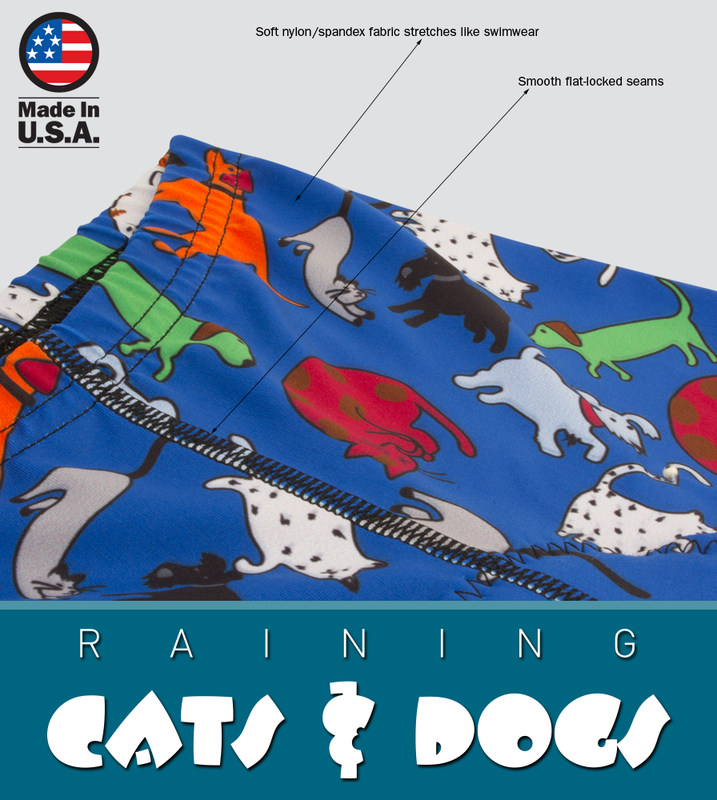 Our Raining Cats and Dogs Padded Bicycle Shorts for children are especially designed to fit the small physique of the bicycling kiddos out there. Once they put them on it will be hard to get them out of these comfy, stretchy, padded bike shorts! The great features include the quality spandex fabric that moves in all the crazy ways your kid moves and the flat seams feel smooth next to the skin. Our children's chamois pad in these bike shorts is soft and sized to fit their smaller bodies. What a great gift to get them out riding the trails with you! Get the matching Raining Cats and Dogs Bicycle Jersey for an awesome set! The leg hems fit snug and stay put with flat smooth seams that are soft next to your kid's skin. 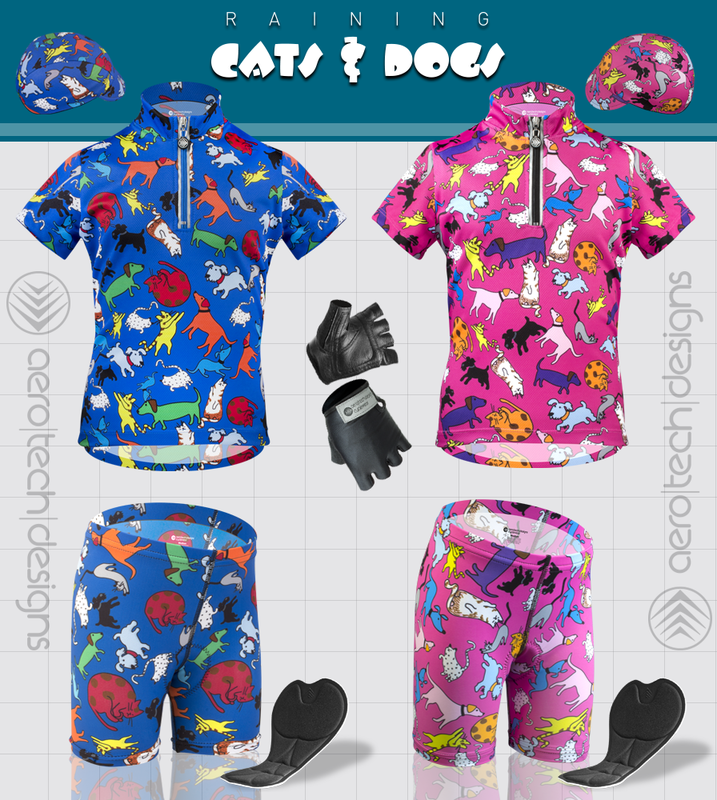 Get the matching Raining Cats and Dogs Bicycle Jersey for an awesome set! Special wicking crotch Pad make these shorts very popular with kids. It's surface is smooth, and soft. Perfect amount of pad since children do not like a thick pad between their legs. 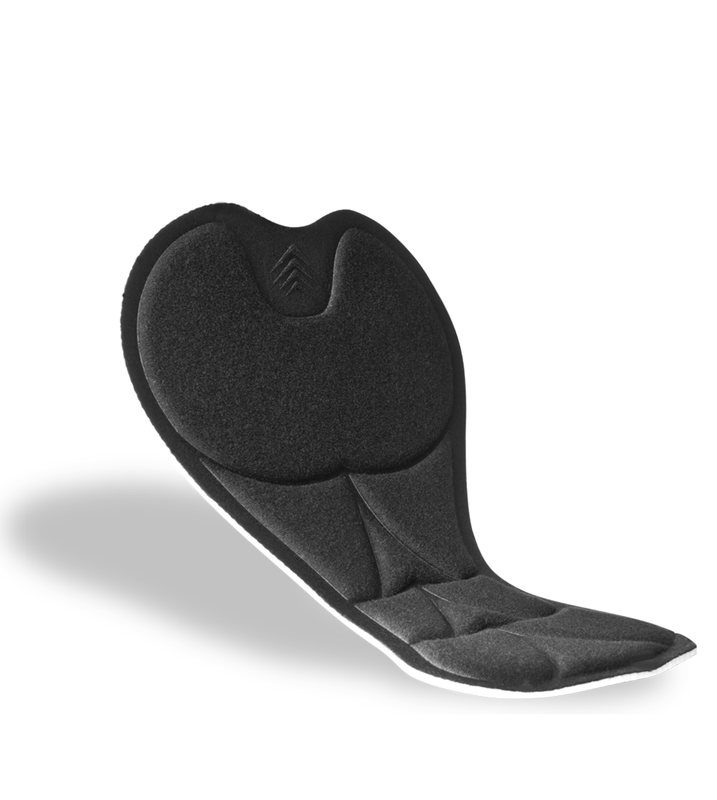 Pad is shorter and smaller than standard pad, see image of pad positioned onto the bicycle saddle. Fabric has silver ions that offer up natural antibacterial features. It's Raining Cats and Dogs - Padded Bike Shorts. Comfortable to wear, easy to move in. Your Young Animal Lover Will Enjoy Them! My boys are 5 & 6 and they ride with their father at least 7 miles in the summer daily. When they opened their gift they were sitting excited. The fit was perfect!